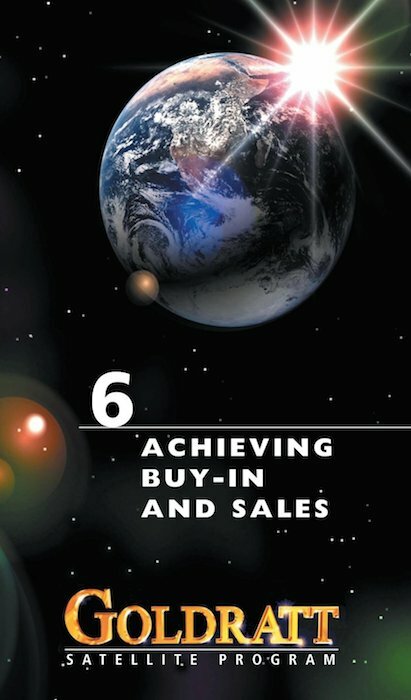 Not just the sales people but every manager in every company is required to sell; to sell their products, their suggestions and decisions, to clients, bosses or their own people. Is there an effective, systematic way to sell; to overcome resistance to change? Includes the Q&A segment at the end of the presentation. Learn an effective and systematic way to sell by identifying and overcoming layers of resistance. 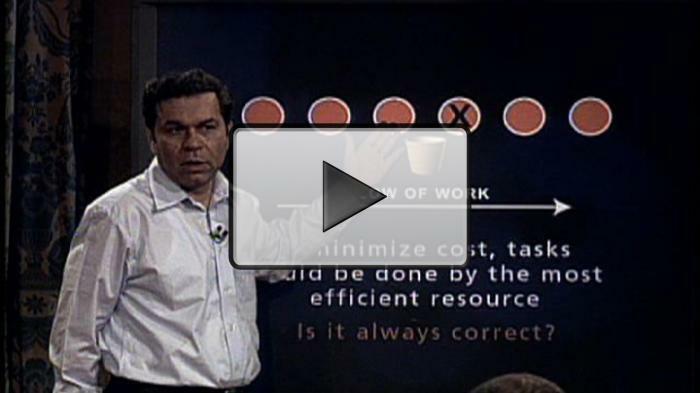 SIMPLE & common sense procedures that your team can put into practice for IMMEDIATE results. Provides answers to the questions “what to change?” and “what to change to?” to significantly IMPROVE SALES PERFORMANCE. Gain consensus from different stakeholders. Use as a comprehensive and system-focused learning resource for organizational development, group training, curriculum or library. Get the know-how of the Theory of Constraints (TOC) approach to successfully “sell” a suggestion or idea internally (buy-in), and a product or offer externally. •	Which sale is more difficult? •	The first layer of resistance - disagreeing on the problem. •	The second layer of resistance - disagreeing on the direction of the solution. • The third layer of resistance - disagreeing that the suggestion solves the problem. • The fourth layer of resistance - claiming that the solution will also lead to negative effects. • The fifth layer of resistance - pointing to obstacles blocking or distorting the implementation of the solution. 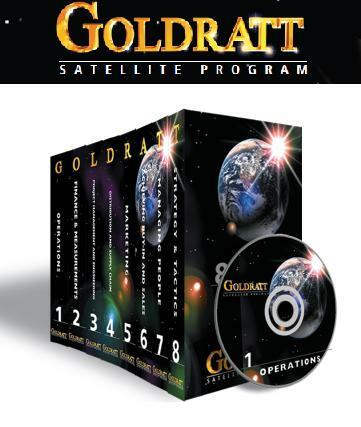 This Licensing Agreement ("Agreement") sets forth the terms and conditions under which Goldratt's Marketing, Ltd. licenses The Goldratt Satellite Program (GSP) to Licensee. The GSP was recorded during the live broadcast of the Goldratt Satellite Program presented by Dr. Eliyahu M. Goldratt in eight sessions during March to May 1999. Goldratt's Marketing, Ltd. hereby grants to Licensee a nonexclusive, nontransferable, license to use the GSP. Licensee is prohibited from sub-licensing, renting, broadcasting, up/ downloading or leasing any portion of the GSP to a third party. Licensee has the right to enable any individual working for Licensee to view the GSP in full or partially. Each viewer is entitled to multiple viewing of the GSP as long as this Agreement is in effect. The GSP is available for unlimited viewing by Licensee as detailed in section 1 provided the license fee has been paid in full. The License term of this agreement is for an unlimited time period, and begins on the date of Licensee's acceptance of online agreement at the time of purchase and receipt of the appropriate paid up fee. Title to and ownership of the GSP shall at all times reside with Eliyahu M. Goldratt. The GSP and accompanying materials (CD - Viewer Notebook) provided by Goldratt's Marketing, Ltd. to Licensee under this Agreement, are protected by copyright laws and international treaty provisions. Licensee acquires no rights or licenses with respect to the GSP and/or accompanying materials other than stated in this Agreement. Licensee commits not to duplicate or make copies of the GSP and/or accompanying materials and will take any reasonable precautions to prevent others from duplicating. Licensee is responsible to take care of the maintenance of the GSP. If GSP is lost or damaged, a replacement will be provided with a charge. Goldratt's Marketing, Ltd. shall have the right to immediately terminate this Agreement for any breach of this agreement. Upon termination of this Agreement, Licensee shall immediately return to Goldratt's Marketing, Ltd. at its own expense, all copies of the GSP in Licensee's possession or under its control. The 8 sessions can be purchased by session or as a complete set. Each session includes the Q&A recorded during the live presentation, plus a downloadable notebook that can be given to every viewer. One DVD per session. For single user please consider purchasing the TOC-SLP for unlimited viewing. Our Academic Program offers the Professor/University an opportunity to incorporate TOC Materials, such as the The Goal movie, TOC Insights, TOC Self Learning Programs, and GSP Series, into the course curriculum in order to provide a base of knowledge about the Theory of Constraints, and/or to include cases studies and video presentations from TOC.tv in order to show specific examples of how TOC has been implemented. Interested parties will enter an Academic License Agreement which grants the non-exclusive, nontransferable rights to utilize the material in their course(s) provided that the Academic Licensee requires each student to purchase the material as part of the required course material. Students will pay a special Academic price which is significantly reduced from the list price and is as affordable as any other required text. 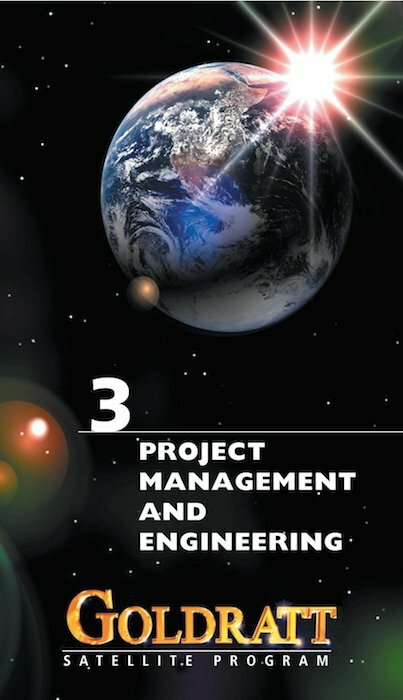 Participating Professors will receive his/her own copy of the TOC materials and is granted access to and use of such materials at no cost for as long as the Academic Program is active. The benefits of participating in an Academic programs are huge. There is no monetary investment for the Professor/University. The Professor will have access to learning material which supports their course and expands their own personal knowledge of TOC. The students will be learning about TOC with materials that provide detailed knowledge and support and deepen their understanding. In any case, if the above is not right for your Academic needs, there are Academic discounts available for any of the above materials. Please CONTACT US for more information on the Academic programs and/or discounts.